On September the 23rd, I was darting around north Birmingham searching for the fibreglass owls that make up The Big Hoot trail. 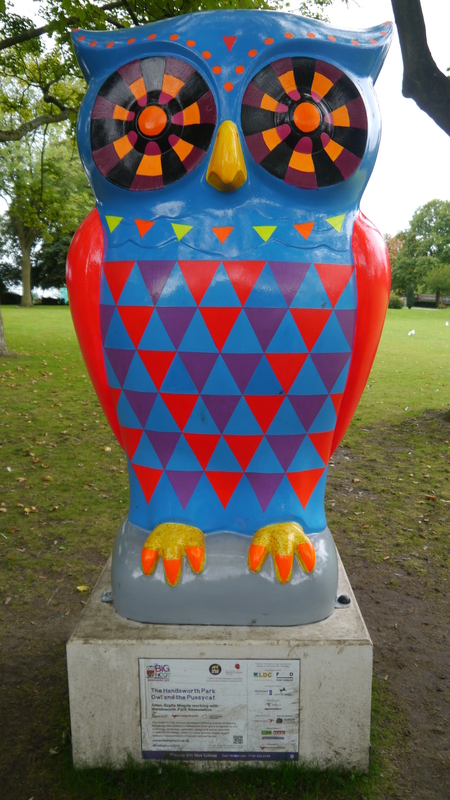 One I found was number 71: The Handsworth Park Owl and the Pussycat by Scylla Magda. Scylla Magda works in various mediums to create abstract narrative journeys, real-time audio visual performances, moving image compositions, and installations. She often works in collaboration with music composers and sound artists and is a member of Birmingham-based audio visual collective Modulate.